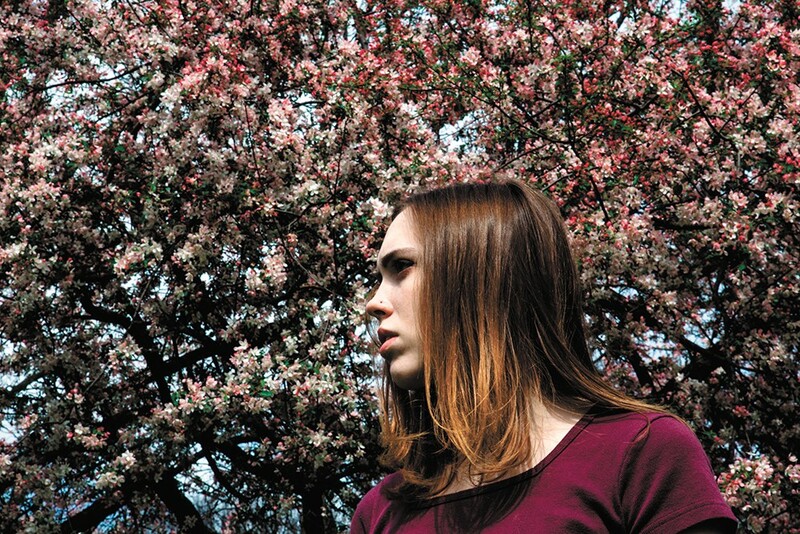 Sophie Allison, better known as Soccer Mommy, brings her stirring indie-pop to the Bartlett April 3. The transition from high school to college can be rough, especially when you're moving far from home, away from friends and family into the Great Unknown. That was even more dramatically so for Sophie Allison when she left Nashville for New York University two years ago. But rather than self-medicating with booze or scampering back to her parents, she spent her time in New York City channeling the isolation and loneliness into stirring indie-pop tunes that now populate her debut album Clean, delivered under the moniker Soccer Mommy. "I had a lot more free time and a lot more drive" to write, Allison says. "I do it best when I'm alone and get to be separated. It gave me the time to do that. I didn't like it at first. It takes some time to adjust to such a big city. But I enjoy having alone time. It's good for me." The days of "alone time" are probably long gone since Soccer Mommy has become one of the most buzzed-about new artists in the country thanks to the 20-year-old Allison's penchant for wrapping tales of aloof stoners ("Cool"), heartbreak ("Still Clean") and anger ("Your Dog") in sparse, pleasing pop hooks. The New York Times included her last year in its "Rock's Not Dead, It's Ruled by Women" feature story, and her album's arrival on March 3 sparked a run through the South by Southwest Music Conference (SXSW) full of shows and media attention. "It was exhausting," Allison says of her SXSW experience. "Like, eight shows and a bunch of press stuff. ... I don't always love doing it, but I don't really mind, either. I don't take it that seriously, just talking and doing interviews. It's not as challenging as writing an album." The attention has been building since she first started posting bedroom recordings to Bandcamp in 2015 under the Soccer Mommy name. Those songs, primarily featuring just Allison and her guitar, came as a surprise to some of the friends she grew up with; Allison was part of Nashville's teen punk scene, but as a fan, not as a performer. Even so, she'd been playing on her own since childhood, and found some inspiration in the "small but strong community of people" in the local scene when she was in high school. "Seeing people you know, and your friends, play music and record their music and put it out and play shows, you see that someone your age can do it," Allison says. She's back living in Nashville, having decided to leave school in New York to focus on making a career in music happen. That's easier to do with a support system like her family and old friends around. She's already gone on tours with the likes of Jay Som, Mitski and Slowdive, and this summer she'll open a series of shows for Liz Phair in addition to playing festivals and headlining dates like the one in Spokane Tuesday. When she's on the road, she'll have a slew of strong songs to take with her. The 10 songs on Clean were produced by Gabe Wax (the War on Drugs, Deerhunter), and they flesh out Allison's Bandcamp stylings with a fuller sound that works on the road with her touring band. "It definitely stepped up the sound a lot," Allison says of recording in an actual studio instead of on her home recorder. "It didn't sound overproduced, but it made it sound how I wanted it to sound." Her instinct on sonic quality is as acute as her ear for a catchy hook, as Clean veers from lush orchestration to purposefully glitchy lo-fi belches in ways that utterly make sense. Of course, with all the attention Allison is getting for her Soccer Mommy music comes some of the age-old sexism endemic to the music business. Allison says it's still a "pretty regular thing" to deal with people who can't fathom a self-possessed 20-year-old woman making her own music and directing her career. "I see sexist things like people assuming stuff that's false because I'm a girl, like I didn't write this guitar part, or that I don't play this on the record even though I did," Allison says. "Just assuming things like that, or treating me as an object based on my looks, that's annoying. People you encounter working, assuming you're not in the band when you show up. Little things." The original print version of this article was headlined "Striking Debut"